If you are in the field of manufacturing whether you in small, medium or even large enterprise then you may have heard or faced multiple problems related to production environment. All these problems you know about are good for you and your production environment as it makes you enhance and improve the process, but on the other hand In most of cases it is not that easy!, there is a hidden part of your problems that you cannot catch or identify and in best situations you feel that there is something going wrong. In this article we will focus on problems you cannot catch or identify and how we can help you do this. 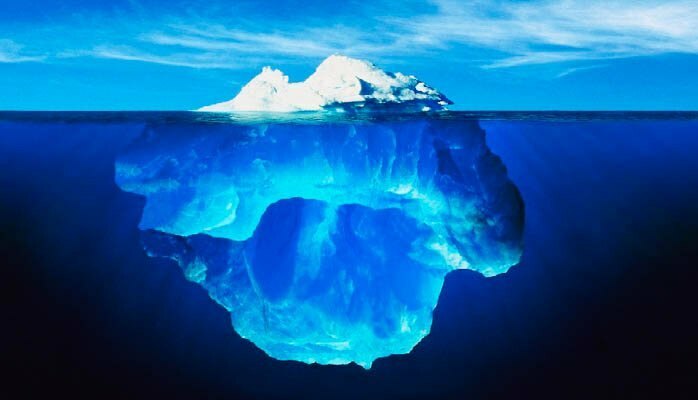 Most of us may heard about the titanic ship and the iceberg, well you may have and iceberg facing your business or job without even seeing it! This iceberg is the cost of poor quality. According to industry experts, the most critical problem that can face any manufacturing environment through the production process is the cost of poor quality (COPQ) because of its direct effect on reducing the manufacturing process efficiency and that most of COPQ causes are hidden and not directly noticeable. 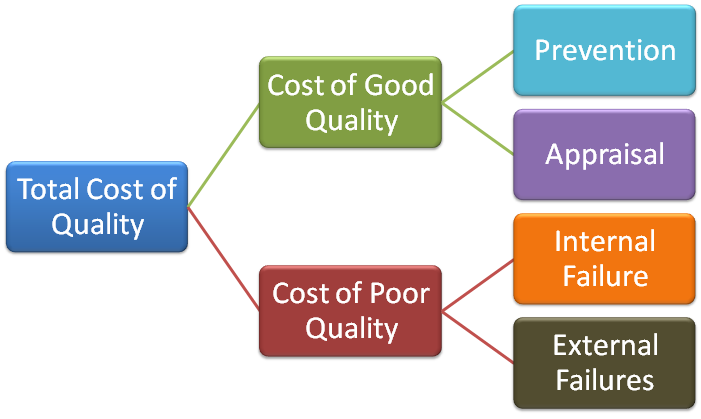 Cost of good quality (COQ) is defined as a methodology that allows an organization to determine the extent to which its resources are used for activities that prevent poor quality, that appraise the quality of the organization’s products or services, and that result from internal and external failures. On the other hand Cost of poor quality (COPQ) is defined as the costs associated with providing poor quality products or services. 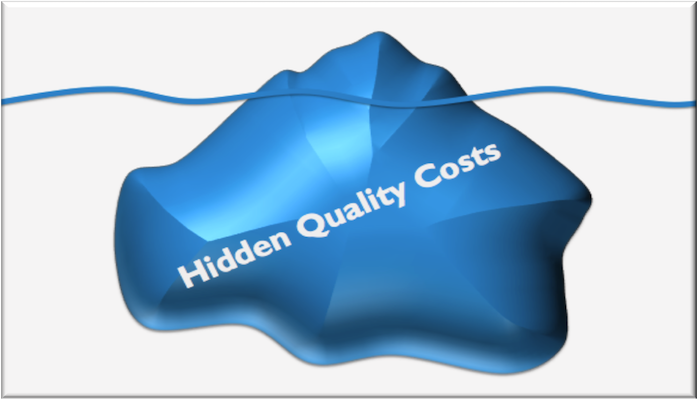 The costs of good quality are broadly broken down into prevention costs and appraisal costs. Process control: controlling the manufacturing process activities and following it. Design reviews: the cost of reviewing and testing the products. Repairs and servicing: of both returned products and those in the field. Warranty claims: failed products that are replaced or services that are re-performed under a guarantee. Complaints: all work and costs associated with handling and servicing customers’ complaints. Returns: handling and investigation of rejected or recalled products, including transport costs. Missing you target, your plan cannot be converted to reality. Delay in Delivery of your customers’ orders. More waste time in Manufacturing Process. Cannot perform accurate downtime analysis. Inefficient communication between your teams. Every business have both types of quality related costs and your target is to do and the cost a quality job, conducting quality improvements, and achieving goals must be carefully managed so that the long-term effect of quality on the organization is a desirable one. The role of quality related costs are obvious especially in manufacturing process as it affects production, supply chain, customer relationship and the whole business aspects.